Data has always played a crucial role when deciding on investments, trying to understand funding trends and emerging industries or products. Luckily, relevant data is readily available online — one of our favorite databases being Crunchbase, the most comprehensive source for startup activity. But how do you make sense of large datasets in order to quickly recognize trends and draw conclusions? If you’re following this blog, you can already guess what our answer will be: use a good data visualization tool. This time around we decided to look at data related the UK startup scene and see what insights we could reach with it. 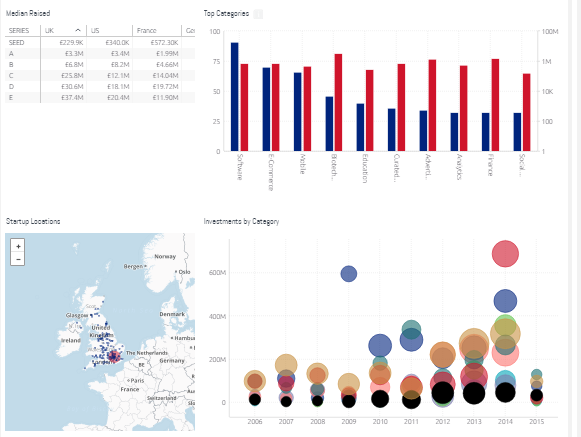 The United Kingdom tech dashboard gives you an interactive view 10 years worth of data from CrunchBase, detailing investments by time period, funding round, geographical location and industry. So what conclusions did we reach, crunching the data on CrunchBase? The most dramatic insight derived from the data is great news for British startups: based on the investment figures and growth, the industry is – simply put – blooming. Over the past year, investments in technological companies have grown by 140%, and by 270% compared to five years ago. British startups excelled in raising Series C and D funding, raising more money than companies in every other country in the world, including the United States. 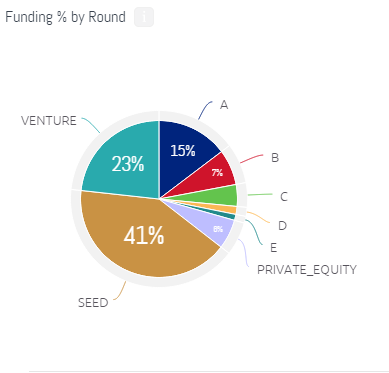 However, most of the investments were still in seed funding, perhaps because by later rounds many of these startups have already shut down. The largest number of investments in 2014 were in mobile technology, software and bio-technology, with these fields collectively raising around £ 1.5 billion altogether. Can you reach your own insights? Sign up to get the latest news and developments in business analytics, data analysis and Sisense. Eurovision Data: Should Scandinavia Trust the Swedes? Sign up to get the latest news and insights. Copyright © 2019 Sisense Inc.